What a crazy last 12 months in the NBA. Brandon Roy is coming back! When I wrote about Brandon Roy coming back from retirement in April, some readers responded in disbelief. “He’s got bone on bone,” they said. “I must have been on drugs”, one commenter said. “No credibility”, and so on. Well this is not an I told you so follow up, but more about how Greg Oden can get there too. (Blog coming soon about Brandon Roy’s chances of staying healthy: stay tuned). After a whirlwind last 6 months or so, Greg Oden was released and gave a lengthy interview discussing his career and life with Mark Titus of Grantland. According to published reports, Greg also began a rigorous rehab and conditioning program to help get his body right. In addition, Greg also reportedly underwent a surgical procedure to help reduce pain in his knee. The reason you’re here is to find out if and how it might be possible for Greg Oden to make a return as well. I am a fan of Greg as a person and want to see him on the court and achieve his basketball dreams. My biggest motivation for writing about Greg Oden and other athletes issues is to bring light to the fact that proper treatment of the ‘root cause of any injury is an essential component to helping prevent athletes and anyone from suffering from an injury long term’. What traditionally has been referred to as proper treatment has had only short term benefits to the patient. Traditionally, professionals in the industry treat the symptom. If you treat the symptom (pain or injury), yes you can get back in the game quickly. But the long term affects can be devastating and cut short any athlete’s career. 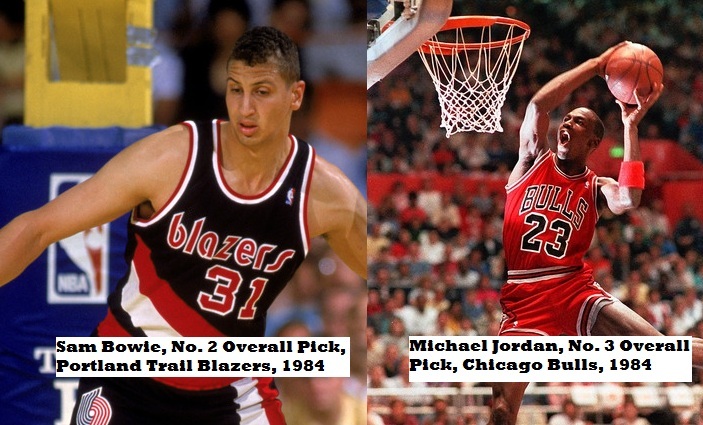 Recently, someone asked what I thought would have happened had Michael Jordan been drafted in Portland instead of Sam Bowie (whose career was hampered by chronic foot injuries)? The answer is who knows and who really cares. The bigger question is what would we be saying about Michael Jordan if he had not recovered from injuries suffered to his feet early in his career. Three games into the 1985-86 season, Jordan went down with a broken bone in his left foot and was sidelined for 64 games before returning in mid-March. The answer is that Air Jordan might have been reduced to a fraction of what he is today. According to his teammates and those who played against him, Michael Jordan (whom I first met in 1994) worked harder than any other player in the game on and off the court. In many ways, his work ethic overshadowed any treatments or training programs prescribed for him As a result, any trainer who worked with Jordan would have become a name in the industry because he was Michael Jordan. Had that same trainer worked with Sam Bowie, we have no idea how Bowie ‘s body would have responded. It is impossible to treat the two players with similar injuries with the same treatment because their body types and injury/training histories are different. Oh by the way, many people forget or don’t know that Sam Bowie played in the NBA until 1995, he just didn’t play the way he was expected to based upon being drafted Number 1 overall ahead of the greatest player of all time. Now back to Greg Oden so I can tie this all together. A proven surgical procedure undergone by hardworking Kobe Bryant (who works as hard as Jordan on his fitness level) to eliminate pain only fixes part of the problem: the pain goes away. That is a good thing because the pain prevented Greg from being able to workout efficiently. Additional benefits to the procedure Greg underwent earlier this year include reduced inflammation and possibly accelerated healing in the areas of his body affected by all of his surgical procedures. Based upon the sheer number of surgeries Greg has undergone, his body has probably built up a considerable amount of scar tissue and some nerve damage may have occurred as well. The procedure could potentially help with both. This is very positive for Greg’s comeback. But it is still not enough. I hope Greg’s rehab and training program has focused on his weaknesses. As I’ve stated previously, Greg moves inefficiently because of weaknesses in his body that have caused injuries. Here are a few areas that were weak on Greg in 2008 and as evidenced by the repeated procedures in 2009, 2010, 2011, and 2012, possibly still affecting him today: glutes, hamstrings, quads, hip flexors, hip extensors, hip rotators (internal and external), peroneals, gastrocs, soleus, abs,anterior and posterior tibialis, and more–mostly on the right side. The left side indicated signs of significant fatigue and overuse. So Greg’s left side needed then and probably still does need a break, relaxation. The Number One area Greg Oden needs to improve….his feet!!! 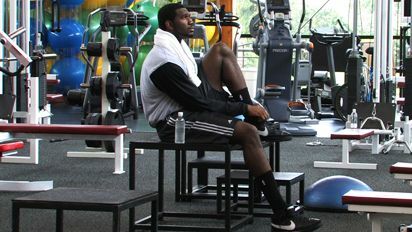 Greg Oden laces up the shoes on his size 18 shoes into a rigid botttom, Nike shoe. Oden’s shoes also contain at least a heel lift, which also places stress on the front of his right knee. The lift could contribute significantly to meniscus injuries. immobile feet and a heel lift. No wonder Oden has meniscus and patella issues. In particular, Greg needs to improve his right “foot flexion” strength. Can Greg grip things with his feet? 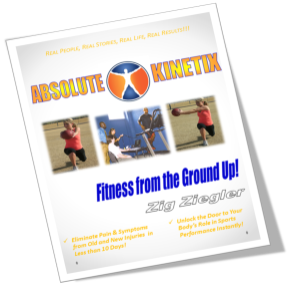 As crazy as it may sound to the novice reader, it is a necessary part of efficient biomechanics and Kinesiology. As you’re reading this, take off your shoe and you’ll see what I mean. Place a towel flat on the floor and grip or pick it up with your foot (one foot at a time for 50 reps- hold each rep for 2 seconds). Try it and see how your foot feels. Some of you won’t make it to 25 before your foot cramps. If you’re right handed do the exercise with your right foot. Lefty’s just the opposite. The feet are the single most neglected part of any training program. Less than one percent (1%) of all trainers or physical therapist include true foot exercises in the daily or even weekly training programs for their athletes. Now big manly types will say working out your feet is not important. Give them big strong massive biceps and they’ll take that guy. But let’s get real, we are seeing more injuries to knees, achilles, and other parts of the body related to weak feet. We assume that because we are on our feet that they are functioning correctly, but that is not true. And no all of you you barefoot running enthusiasts, that is not enough either. Barefoot running only affects where the impact occurs not function of the feet. That’s a whole blog series I have set for October. Here’s an indicator of whether or not you need to train your foot flexion or gripping: Do you wear flip flops? If so, you are overworking the top of your foot and ankle (dorsiflexion and toe extension). In my research for this post, I watched a youtube video promoting toe extension exercises for dancers. It is honestly the worst and most unnecessary exercise ever, unless you’ve suffered an injury that keeps you from wearing flip flops. Don’t get me wrong, some people will need it but 9 out of 10 would be negatively impacted by it. Greg Oden and just about every other basketball player in the world needs the opposite. These athletes need to work on gripping things with their feet. Why do I say this? It’s because the shoes worn by basketball players prevents their foot and ankle from functioning properly. The solid rigid surface, the ankle taping…this prevents the ankle and foot from doing what it does naturally. So yes, Greg Oden has a weak right foot. In addition, he has a weak right lower leg complex: gastrocs/soleus. This weak right foot contributes to his weak right lower leg, which contributes to his weaker right hamstrings, glutes, quadriceps, and other areas of his right leg. These weaknesses cause Greg to over use his left side which is what contributed to Greg Oden’s left patella injury in 2009. So if Greg Oden wants to come back in 2012-13, he’ll need to work hard, but he’ll also need to work on the right areas of his body. Most importantly, Greg should absolutely under no conditions perform the same number of sets and reps or stretches on his right side in comparison to his left. Greg’s injury history alone is an indicator that one side was damaged more than the other, so why do the same things on both? And yes, all of this was a part of the “controversial report” given to the Portland Trailblazers in 2008 and again in 2009 when contacted for a copy by Tom Penn. Emotionally, another major injury would probably end his career. I would hate to see this because I had a chance to have an impact on his career longevity. I guess we can say that two chronically, injured players for one team might be playing in the NBA for other teams after being let go due to those alleged career ending injuries. And isn’t it amazing that one of them could win a championship (if he ends up in Miami and they win again). Shocking! I’m just saying… somebody other than me thinks these two guys are still worth it and can be fixed. The bottom line is just because you read it on the internet or someone makes a statement about it does not mean that it’s true. Apparently one shoe has already dropped as Brandon Roy has signed with a new NBA team. 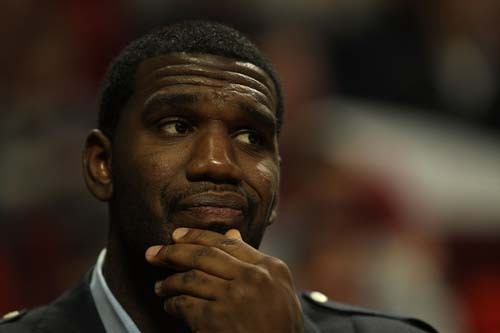 Another shoe will drop when Greg Oden is signed before the start of the season and returns to the NBA. I’m pretty sure someone will sign Greg next season. And at worst, Greg can hang on for another 5 years or so going from team to team and make millions. I hope he works hard on the root cause of his injuries and not just the injury itself. Ask the question of your therapists, Greg. And make sure you get a real answer not just one to pacify you. Well, it is truly to see Greg Oden and many other injured athletes back on the court or in the game. If Greg’s serious about a return, he should have a copy of his old report if he does not already have one. But also, he should get a new one. Oh and if he does call to request one, no one will never hear about it from me until long after he returned to the court. After all, you didn’t know about his previous tests as I kept that confidential not because I had to but because I wanted to keep it quiet. At anytime, I could have promoted my relationship with the Blazers or any athlete or team as many others in the field do. Having a famous clientele doesn’t make you an expert. Actually having a positive impact on them or sharing valuable information for their benefit is what makes me and others in the profession feel great about waking up every day to go to work. Until Greg was let go, I was a background guy. That means when an athlete or team came to me, I stayed in the background. This is not about attention for me, it’s about bringing light to a dark situation. I want Greg Oden’s flame to shine. Let the candle burn Greg. Next week, I’ll detail Greg’s number 2-5 most important exercises to guarantee his long term health. Oh by the way, NBA teams, a guy with a tight back (back problems) can be fixed and is still worth a top draft pick. hint hint. Zig Ziegler, The Sports Kinesiologist can be followed on Twitter @zigsports.